In Raízes do Brasil, Sergio Buarque de Holanda makes use of a metaphor to differentiate between the Hispanic and Portuguese conquistadors in the New World. While the Spaniards are portrayed as tilers – founding geometric, fully thought-out cities – the Portuguese are sowers who allow urban development to be determined by the irrational caprices of the terrain. This spirit of the immediate, which led to a delay in the advancement of public institutions in Brazil, brought a decisive contribution to the arts. Throughout the Brazilian coast – from Pernambuco to Rio de Janeiro – different musical genres germinated irregularly, effortlessly. Open to fusions, their rhythms possess a playful quality, a charming intermediate between syncopation and triplet. In the first decade of the 21st century, Brazilian composers – specialists in the subtleties of the guitar and its chamber combinations – add meaning to these popular forms without abdicating of spirit. Frevo e Fuga (track 1), by Paulo Bellinati, uses the frevo (a typical rhythm of the Pernambuco carnaval) in a format that evokes the Bachianas Brasileiras by Villa-Lobos, while Paulo Tiné – another Paulo from São Paulo – places the northeastern rhythms of baião, frevo, and maracatu side by side with baroque forms like the chaconne and fugue; Rabichola de Cabra (track 2) pays homage to Hermeto Paschoal and its name echoes that of the Indian sitarist Ravi Shankar. Sambadalu (track 3), whose title is dedicated to the singer Luciana Souza, is a samba written by Marco Pereira, born in São Paulo but currently living in Rio de Janeiro. The nervous introduction, which is reminiscent of the duets between Dizzy Gillespie and Charlie Parker – or those between Benedito Lacerda and Pixinguinha – develops into a groove made popular by the sambistas of Rio de Janeiro. In Carlo’s Dance (track 4), Paulo Bellinati evokes the urban complexities of São Paulo: the piece is written as a jequibau, a bossa nova in five-beat time invented by Mário Albanese and Cyro Pereira in the 60s. The following track, A Fala da Paixão (track 5) is a “song without words” written by Egberto Gismonti and recreated by Cuban composer Leo Brouwer as a movement of Gismontiana, a concert for guitar quartet premiered in Brazil by Quaternaglia. It is the search of countryside universality that drives Dança dos Quatro Ventos (track 6) – a gallop written by Marco Pereira – and Sibéria (track 7), a waltz written by Paulo Tiné which brings together influences from Camargo Guarnieri, jazz and twelve-tone music. Pereira’s Açaí com Tapioca (track 8) marks a return to the coast: the work thrives in the juxtaposition of southeastern maxixe and the northeastern coco. The title is a reference to a popular ice cream of Belém do Pará, city where Quaternaglia – accompanied by the composer – premiered the piece. If Frevo e Fuga was commissioned by Paulo Bellinati for a Quaternaglia performance in Columbus (Ohio) in 2010, Baião de Gude (track 9) was the composer’s first piece dedicated to the quartet. Its international edition (GSP 201) has permitted interpretations of the work by ensembles around the world. 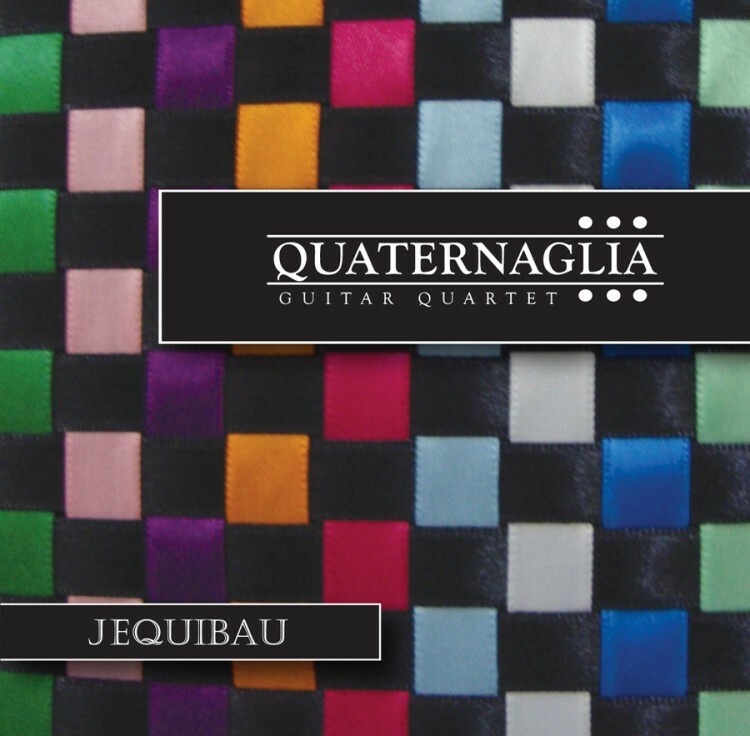 To return to it twelve years after the original recording is one of the ways in which Quaternaglia celebrates its twentieth anniversary. Grounded on the work of Sérgio Buarque, philosopher Benedito Nunes comments on the fact that Portuguese cities in the Americas brought about a crisis of parks and gardens, symbols of the public and private spheres respectively. For Nunes, the characteristic Brazilian topos is the yard (“quintal”). This CD suggests that chamber music can still learn from the sounds of the yard.